When it comes to facial moisturizers, I am always on the lookout for ones that are creamy, oil free, and won't clog my pores. You can imagine my curiosity when I spotted this new moisturizer from Garnier-Moisture Rescue Refreshing Gel-Cream ($7.99) at my local Duane Reade drugstore. I have never tried moisturizers that are gel-like in consistency, but I decided to give this one a go-and not to mention the price wasn't too shabby either. 6. Grape Water Extract (antioxidant that helps protect skin from external potential damage) and Vitamin E (skin moisturizer and conditioner) work together to help keep skin moisturized. I have been using this moisturizer before I apply my foundation in the day and I really enjoy it. I will admit, I was a bit hesitant about how this product would work on my skin. 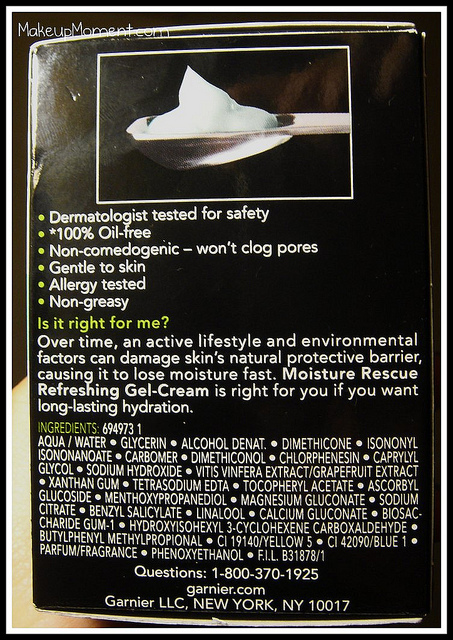 As I mentioned, I have never used a gel moisturizer and I was worried that this gel-cream would not moisturize enough for me. But I am happy to say that I have come to really LOVE it and it exceeded my expectations. My face is really dry and flaky-especially now in these colder months, and I want to make sure that I am using a moisturizer that will not only keep my face moisturized all day, but one that helps my foundation go on smoothly and never cakey looking. This moisturizer does just that. My foundation goes on real smooth and looks flawless. I apply this moisturizer after I cleanse my face in the morning and as soon as I put it on, I feel a cooling sensation on my face. This is great for those mornings when I am super tired that I just wont wake up or focus right LOL! The coldness of the gel feels refreshing and really helps wake me up. Some may be concerned with how this gel-cream absorbs into the skin, and I will let you all know that you have nothing to fear! This moisturizer absorbs right away and I get no sticky or uncomfortable residue left behind like some other moisturizers tend to do. My face is left feeling really soft to the touch. The smell of this moisturizer is divine-it has a refreshing, clean scent that is not overbearing to me. I smell a hint of it on my face after it fully absorbs. 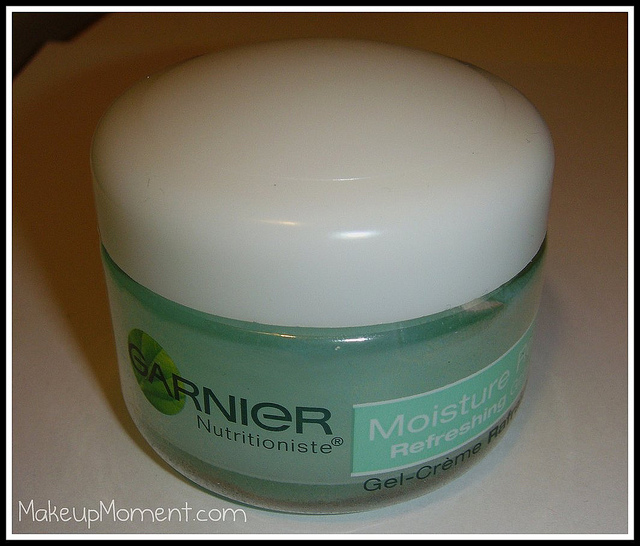 Overall, I really like this moisturizer and I am interested in trying out other items from the Garnier Moisture Rescue skincare line in the future. I may check out the UV Lotion with SPF 15 next. 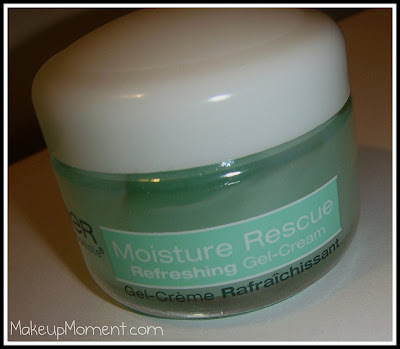 That one may be a bit better for the daytime since it contains SPF, and I could just stick to using this Moisture rescue Refreshing Gel-Cream for when I am going out at night, or before bed after I cleanse my face. 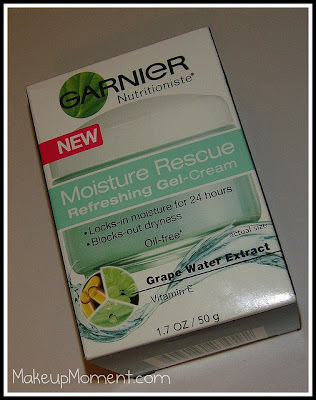 Have any of you tried this Moisture Rescue Refreshing Gel-Cream moisturizer from Garnier? Love it? Hate it? Let me know in the comments section, I would love to hear your thoughts. 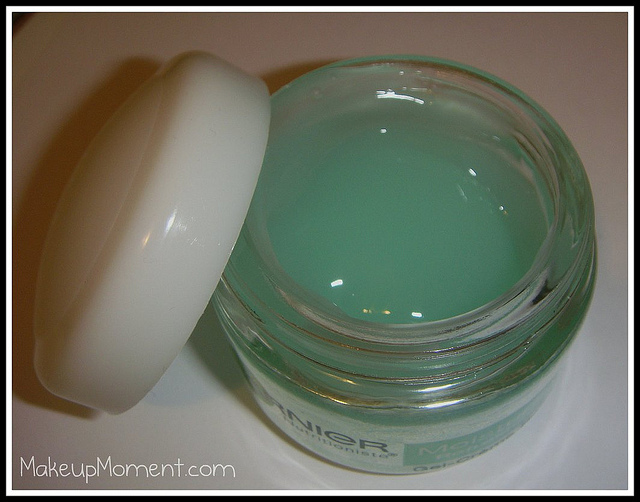 I love the original moisture creme from garnier, just finished up my pot of it. This intrigues me for sure, love the idea that it's a gel and green.I wanna try it for sure. The green gel is definitely a fun factor. I love how refreshing it feels on my face when I am applying it. Garnier has been impressing me lately with their skin care. I am in LOVE with the Garnier Nutritioniste makeup removing cleansing wipes. I am actually writing a review on this product. It didn't work for me. Though the coolness felt great on my skin, about 10 mins after I applied, my skin went back to being dry. :( I was really hoping this product would work for me. Oh well... on to the next. haha! The cooling sensation really soothes me LOL! What kind of skin type do you have? My skin is dry, oily and acne-prone. I find this gel-cream does wonders when it comes to controlling the oilies on my skin.